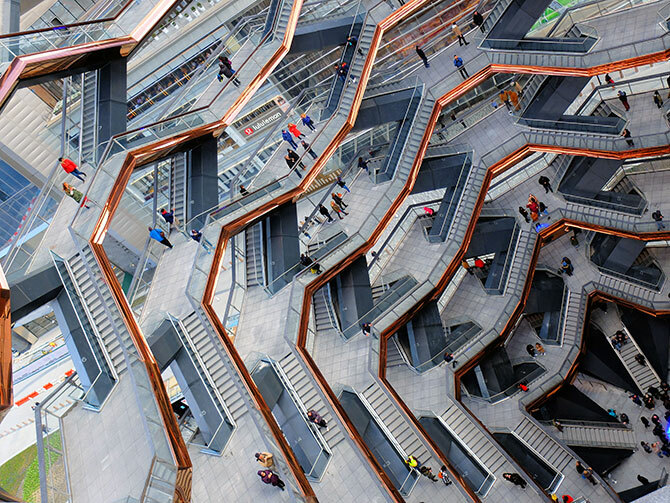 Vessel is definitely an attention grabbing construction, comprising 154 interconnecting flights of stairs, with no less than 2,500 steps. In addition, it is 15 storeys high, so a climb to the top is definitely a workout! The views from the 80 viewing platforms, however, promise to make it all worthwhile. The recurring forms in the structure are reminiscent of Escher’s drawings. Although, everyone seems to see something different in its unusual shape. For example, a honeycomb, a beehive, a climbing frame or even a basket. 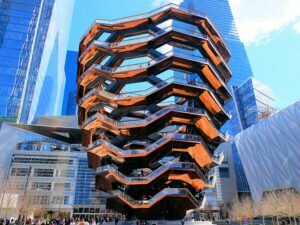 Vessel is located in Manhattan’s newest neighbourhood, Hudson Yards. To be precise, in ‘Public Square and Gardens at Hudson Yards’, a community park full of plants and trees. You will be able to see it if you are taking a walk over the High Line. This sprawling park is the epicentre of the eastern part of Hudson Yards. Further consisting of eight buildings with various uses such as offices, housing and shopping spaces, plus a cultural institute called The Shed. 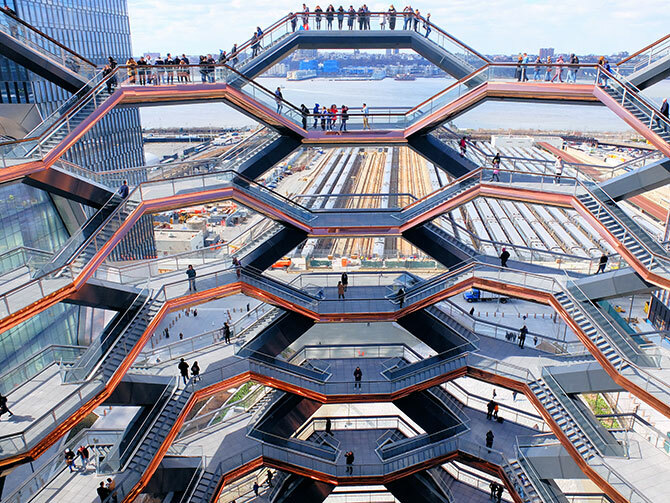 In addition, there is the 30 Hudson Yards building which is home to the Edge Hudson Yards Observation Deck. This part of Hudson Yards can be found between 30th and 34th Streets and 10th and 11th Avenue.